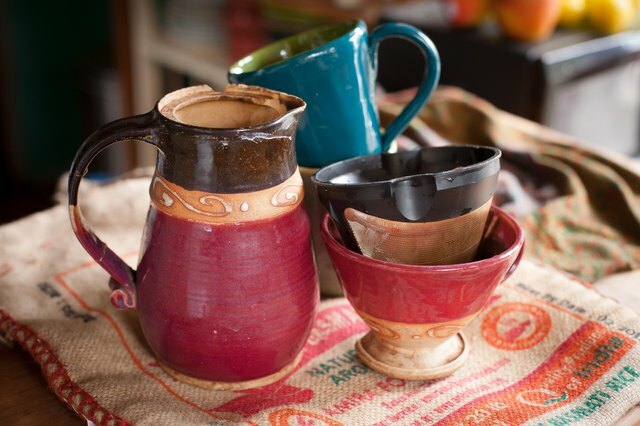 Gold and gold tone coffee filters mean you don't have to use disposable paper filters, and they can also improve the flavor of the coffee because they don't absorb flavors or oils from the grounds. Some filters are tinted stainless steel, while others have gold plating over the stainless steel mesh. 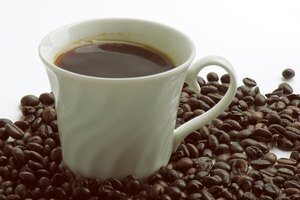 Acids in the coffee can damage the filter over time, so it's important to wash the filter every time you use it. 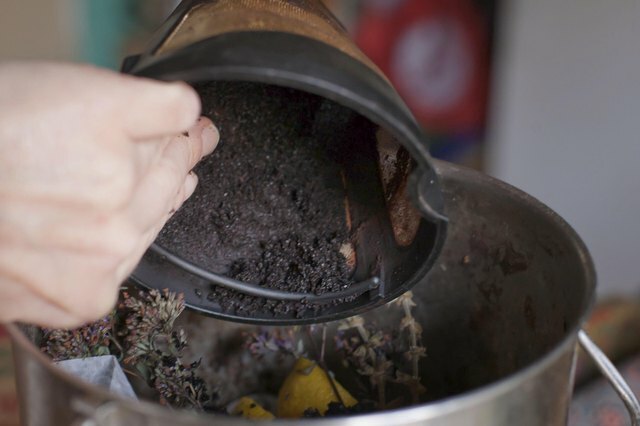 Shake the used grounds out of the filter and into a trash can. 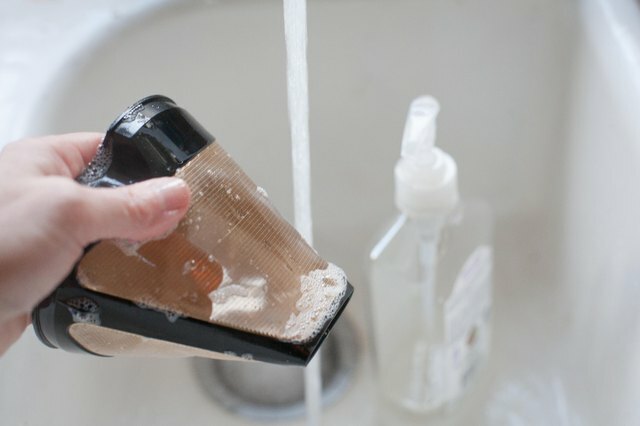 Use your fingers or another non-abrasive object to remove as many of the grounds as possible. 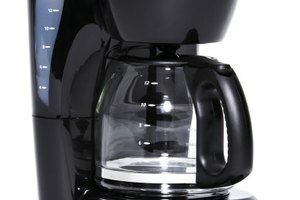 Rinse the remaining grounds and residue from the filter with hot water. Squirt a single small squirt of dishwashing detergent directly onto the filter. 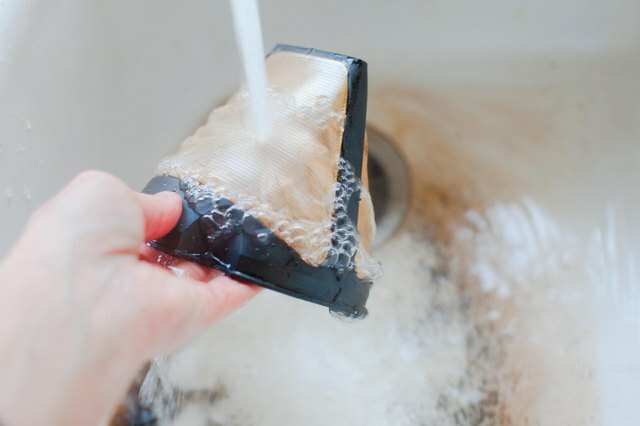 Scrub both the inside and the outside of the filter with a non-abrasive sponge. 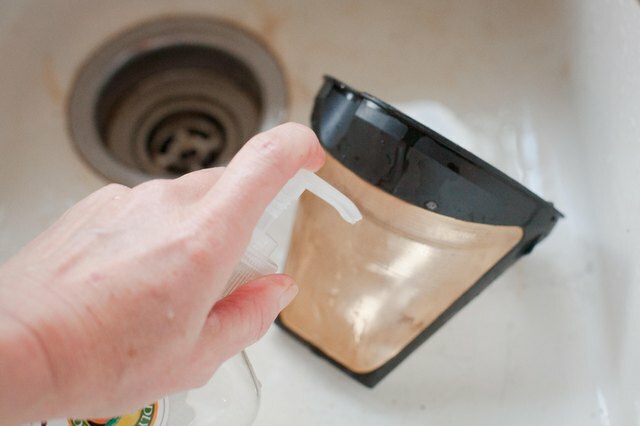 Rinse the soapy residue from the filter with hot, running water. 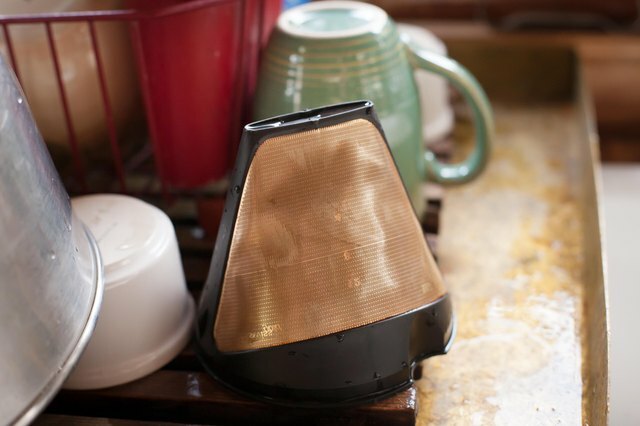 Set the filter in a dish rack to air dry. 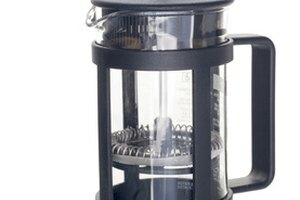 Put the filter back in the coffeemaker when it is dry. Most gold and gold tone filters are dishwasher-safe, but you must wash them on the top rack so the plastic parts don't melt or become warped. 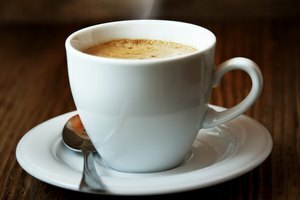 When possible, wash the filter at least once each week in the dishwasher to ensure all coffee residue is removed. Be gentle with the filter because the mesh is rather delicate.